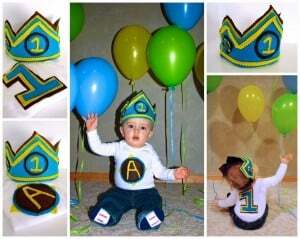 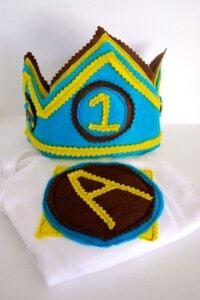 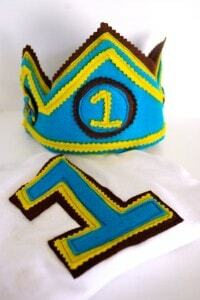 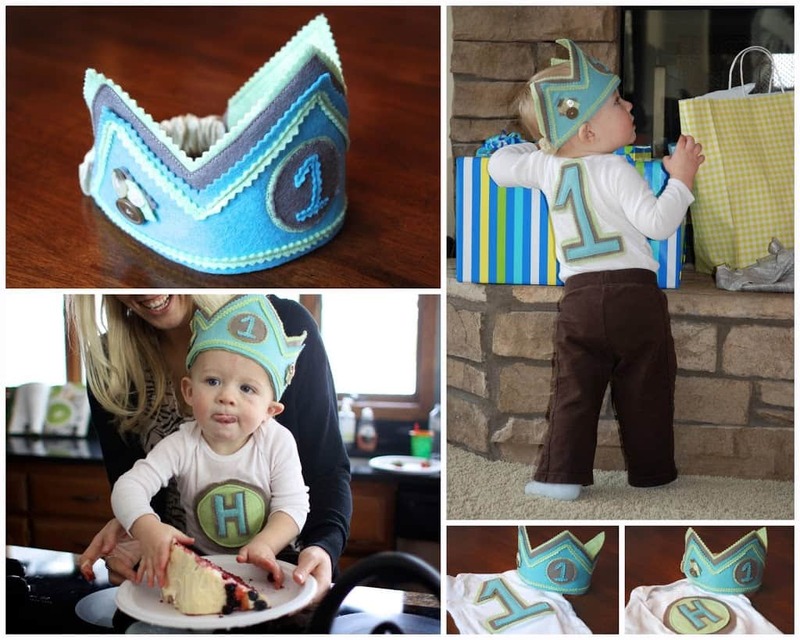 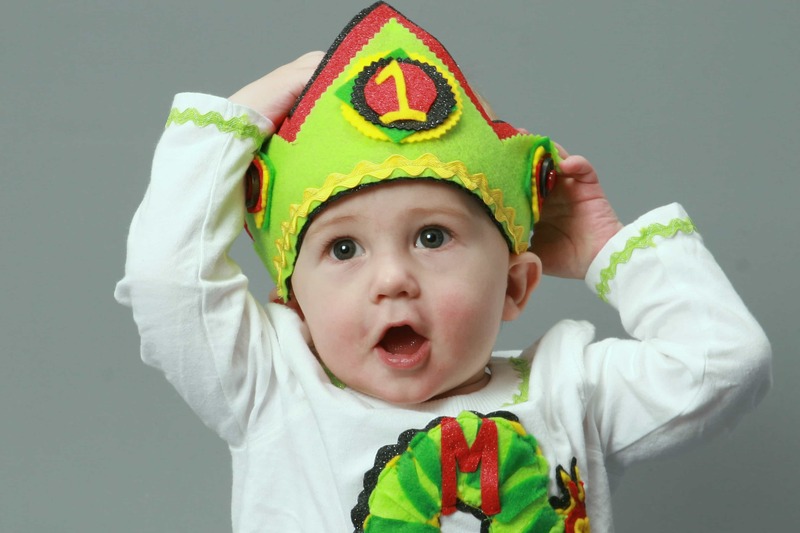 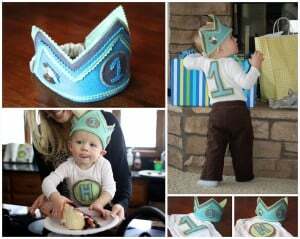 These Felt Birthday Crowns and Onesies are a simple and easy first Birthday gift. Lately I have been on a felt Birthday crowns and onesies making spree. 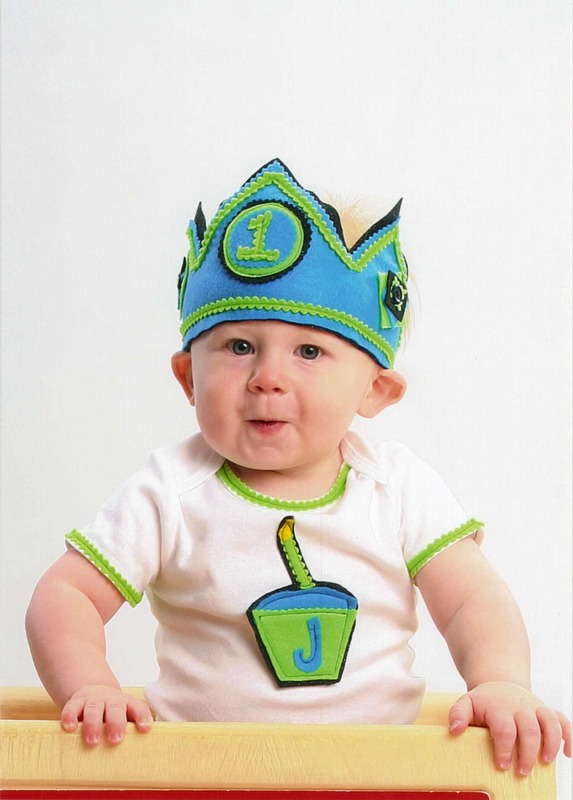 Well… if you count making two crowns and two onesies in two weeks a spree. 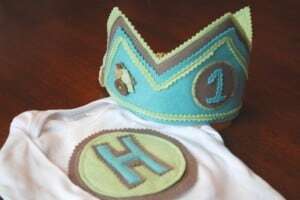 They are probably my favorite thing to make because the babies just look so darn cute in them. Just last week was my friend Audrey’s baby Ashton’s 1st Birthday, here are a few pics of the crown and onesie I made for him. For Harry’s Birthday I made him a set too. 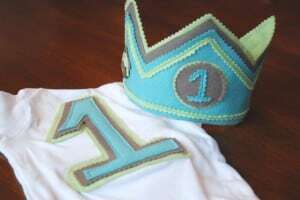 Actually, all the way back to my boys 1st Birthdays they both had birthday crowns and onesies made by me too!